If there’s one thing that Intro knows it’s that second chances can lead to long lasting love. When providing our services as an senior dating agency, this becomes even truer. You might be reading this and thinking, “I’m far too old to use an Irish matchmaker.” Our 81 year old client would definitely disagree with you. That’s right, this client believes in senior dating and so do we. Whether, you’re our youngest client (age 22) or our oldest, here are our thoughts on taking the plunge and experiencing second chance dating. The end of your first love may take some time to process. You’re allowed to take the time that you need to do so. Connect with family and friends, reflect on the good times, and ensure that you’re ready to take a second chance at dating. 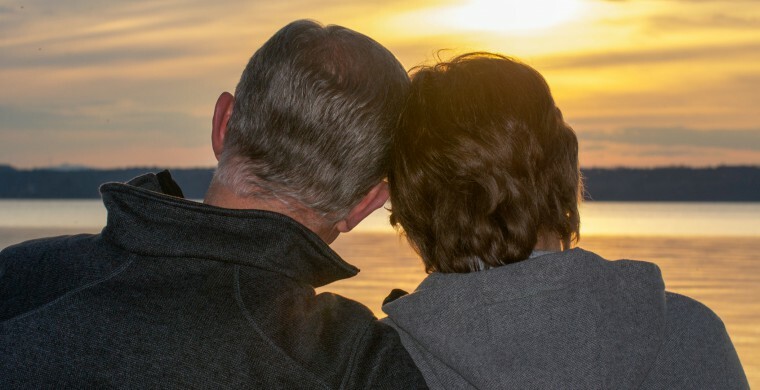 As an Irish matchmaking agency, we have many years of experience working with clients and this most certainly includes older clients entering senior dating for perhaps the first time. We’re here, when you’re ready, and happy to take the time to listen to any hesitations that you may have about dating again. Senior dating services can attest to the fact that love can happen more than once in a lifetime. If you’re divorced or tragedy has hit and you’re widowed, there’s still a second chance at love for you. Allow us here at Intro to use our specialized skills to connect with you, discover your interests, and then find you someone. We’ll even use our years of experience to put together that first date. When providing our services, whether you are looking for an over 40’s dating agency or an over 70’s dating agency, we are sensitive to the thoughts and feelings that you are having about pursuing dating again. We have worked with many clients that are older and have had a ton of success. We understand the hesitation about entering the dating market at any age; however, we’re here to guide you through the process. You deserve a second chance at love and we’ll make it happen for you!